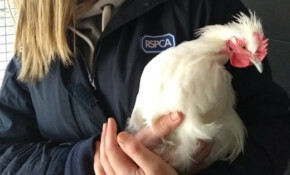 Can you offer Cedric the cockerel a loving home? He was found by road workers alongside dead chickens who had been dumped on the roadside. Police are keen to speak to the woman who stopped at the scene, as she may be able to help us to establish what happened. Island Roads are suggesting a very long diversion between Whitwell and Ventnor, going via Wroxall, Sandford and Godshill. The 'Whispering Ponies' project works with people with dementia and those who are socially isolated. As the only Isle of Wight project in the running for a grant in The People's Project, your vote is vital. Well done to Amelie Haworth from Godshill, who last weekend took the U13s French Open Title in Squash Championships. Did you go to the first Isle of Wight Festival in Godshill in 1968? Share your memories of the Festival with organisers of the current Isle of Wight Festival and you could be rewarded. Best of luck to twelve year old Amelie who will be competing in the Dunlop British Junior Open in Birmingham next week after being seeded sixth in the girls’ under-13 event following her runner-up position at the British junior nationals in October. The new 20mph speed limit has been agreed by the Isle of Wight Council following years of campaigning. The speed limit in Godshill is one small step away from becoming 20mph. It's got support from the local councillor and Parish council - but the Police objected to it. 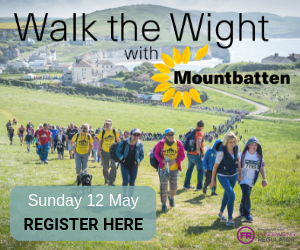 This great family fund day has been organised to raise funds and awareness for a little-known condition that affects families. Grab your advance VIP tickets now and enjoy exclusive entry into a VIP draw. The work has been programmed outside of the main holiday season and on weekday nights to further reduce inconvenience.